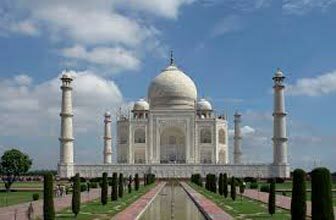 The Royal India Tour - Experience the extraordinary attractions of north India, from the contrasts of Old and New Delhi. 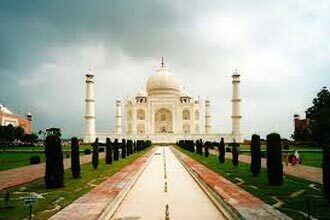 Visit the wondrous Taj Mahal of India, sacred lakeside temples and a desert tribal village of Rajasthan. Ride on an elephant like Maharaj to the Fort, a camel at sam sand dunes a sunset point and a romantic lake boat in one of the beautiful lake in Udaipur. Stay overnight in a palatial. Breakfast: At Hotel in Delhi. 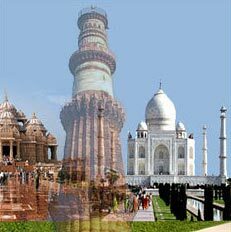 Morning after breakfast full sightseeing tour of Old & New Delhi including Jama Masjid (one of the largest mosque in India) Red Fort from outside (closed on Monday), Rajghat, drive past through India Gate, President House, Lotus temple and Qutab Minar. Overnight at Hotel in Delhi. Meals : Meals Included: Breakfast. Breakfast: At Hotel in Agra. Afternoon: PM visit Agra Fort. Evening: Enjoy marble craftsmanship demonstration. Morning: Morning after breakfast drive to Jaipur en route visiting Fatehpur Sikri. Evening: Rest of the day free. Breakfast: At Hotel in Jaipur. 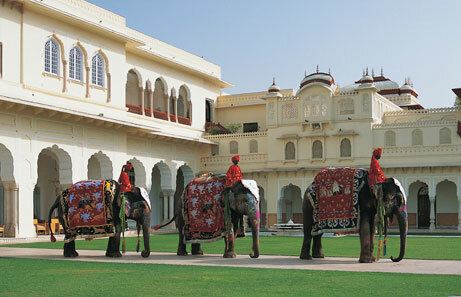 Morning: After breakfast Half day city tour of Jaipur including excursion to Amber fort. Enjoy elephant ride to the Fort. Visit Sheesh Mahal, Ganesh Pol, Shila Devi. 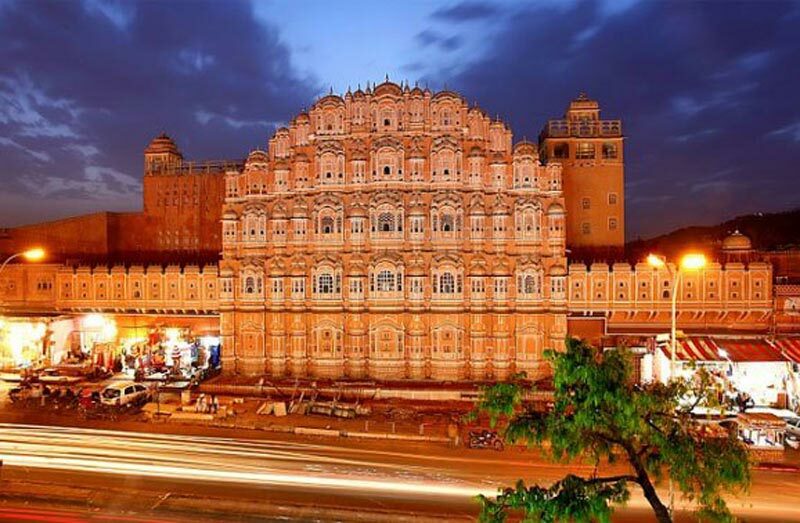 Afternoon: In the Afternoon city tour of pink city Jaipur visiting Hawa Mahal (Palace of Winds), The City Palace, and Jantar Mantar (Observatory). Afternoon: Arrive Pushkar. On arrival check in at hotel. Afternoon : Walking tour of Pushkar visiting Bazaar and temples . Later Special Pooja (prayer) ceremony on Ghat with Hindu priest. Breakfast: At Hotel in Pushkar. Morning: Morning drive to Udaipur. Afternoon: Arrival in Udaipur and check-in at Hotel. Evening: Early evening enjoy boat ride at Lake Pichola. Breakfast: At Hotel in Udaipur. Morning: Sightseeing tour of Udaipur city including visit to City Palace,the Jagdish temple followed by tour of Sahelion- Ki -Bari, the (ladies garden) and the beautiful garden surrounding the Pratap Memorial overlooking Fateh sagar lake. Morning: Drive to Jodhpur, enroute visiting Ranakpur Jain temples. Afternoon: Arrival in Jodhpur, check in hotel. Evening: Visit clock market and bazaar. Breakfast: At Hotel in Jodhpur. Morning: Early morning Sightseeing our of Jodhpur city visiting Mehrangarh Fort and Jaswant Thada. Later drive to Jaisalmer. Afternoon: Arrive Jaisalmer and check-in at the Hotel. Breakfast: At Hotel in Jaisalmer. 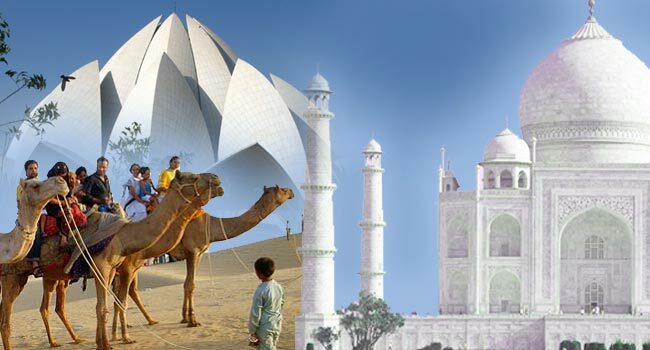 Morning: Sighseeing tour of Jaisalmer city visiting Jaisalmer Fort, Patwon ki Haveli, Salim Singh ki Haveli, Nathmal ki Haveli, Gadi Sagar Lake & Tank, Chhatriyan. Afternoon: Excursion to Sam Sand dunes, enjoy camel ride for sunset viewing. Morning: After breakfast drive to Bikaner. Afternoon: Arrival at Bikaner. Check In at hotel. Later visit Camel Breeding Farms. Breakfast: At Hotel in Bikaner. Morning: Sighseeig tour of Bikaner city ,Visit of Junagarh Fort and Jain temple, Later drive to Mandawa. Afternoon:Arrive at Mandawa. Check In at hotel. Walking tour of Mandawa – Enjoy seeing Painted Havelis of Shekhawati region. Breakfast: At Hotel in Mandawa. Afternoon: On arrival in Delhi proceed the international airport to connect the flight for your home.